The month of May is recognized as Healthy Vision Month. Our doctors at Grin Eye Care want to remind all of their patients to stay on track of their eye health. 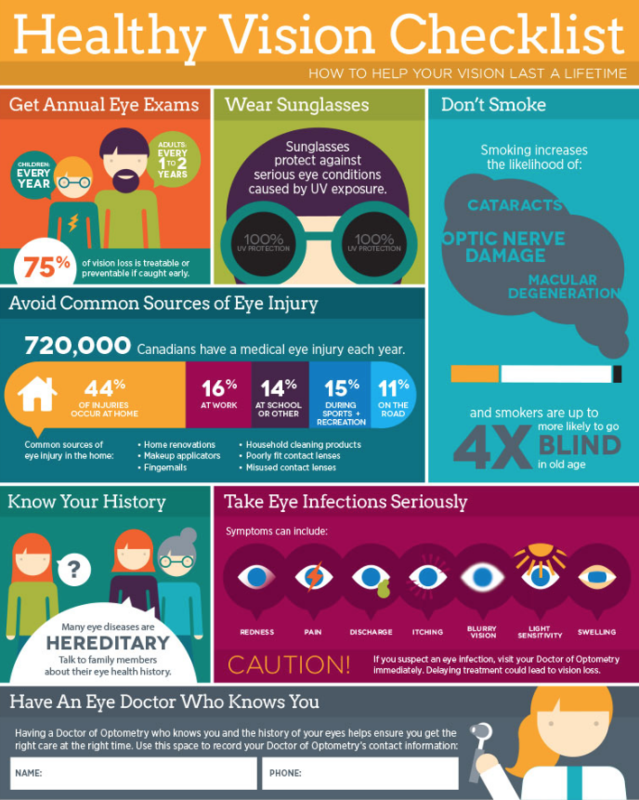 Check out this awesome infographic for a great overview of how to keep your eyes happy & healthy! An easy way to stay on top of your ocular health is to schedule your annual eye exam. If you're due for an exam, give us a call to schedule at any of our 3 locations! We are always accepting new patients and are standing by to answer any questions you may have. We can be reached at 913-829-5511 and are pleased to offer evening hours as well as Saturday appointments. Hope to see you soon! !